Here are some pictures from a new Telsa Model S we did with some 20″ Ace Aspire wheels finished in the vibrant silver finish. 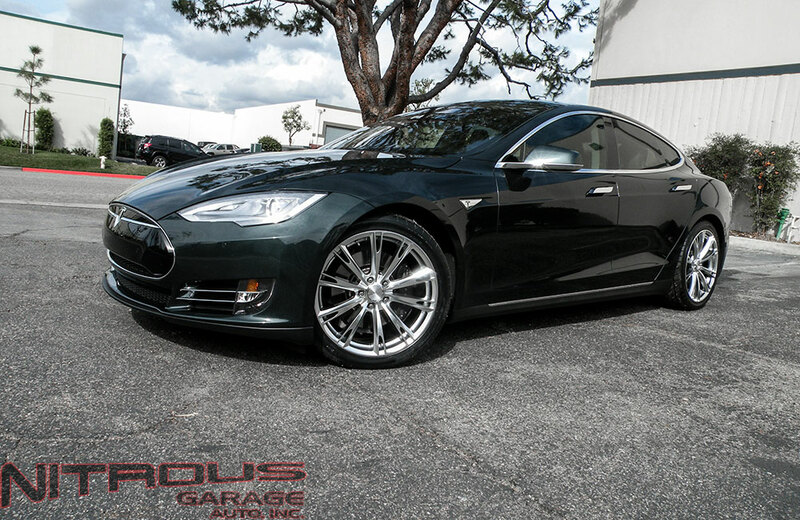 We think these wheels go perfectly with the trim pieces and grille of the Tesla. 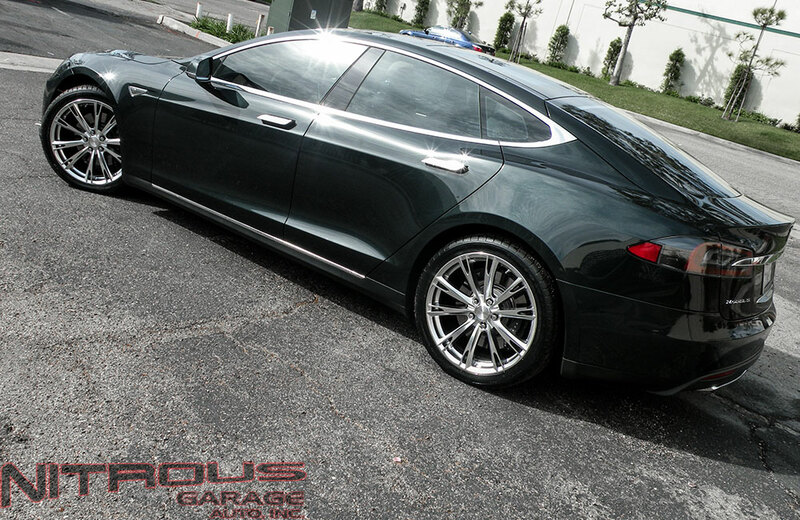 The owner opted for 20″ fitment over the 22″ fitment because he wanted to maintain the cushy Tesla ride quality. 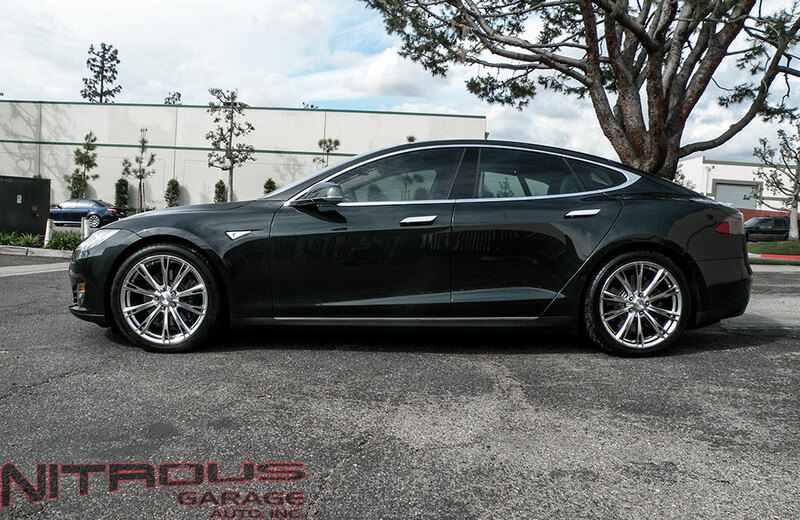 Ace Wheels got their hands on a brand new Tesla Model S and what did they do? Fit some slick wheels to it! 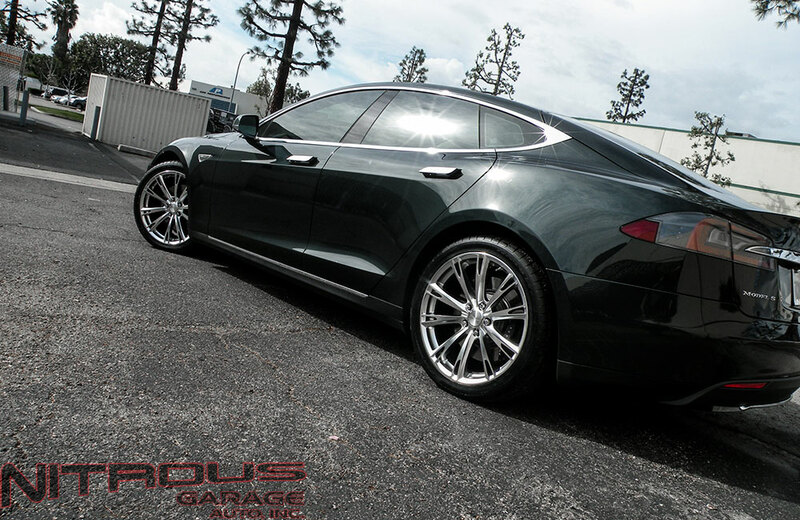 Below are some pictures of the Model S fitted with some 22″ Ace Mesh 7 in gunmetal.